With Korean pop culture making headlines worldwide, Korea's fashion and beauty industry is also rapidly gaining recognition. While Korea still has its own social issues, despite racial prejudice in this homogenous society, mixed-race models were strutting down the runways of Seoul Fashion week and booking jobs others only dream about, which hopefully sets a precedent of diversity for the industry. 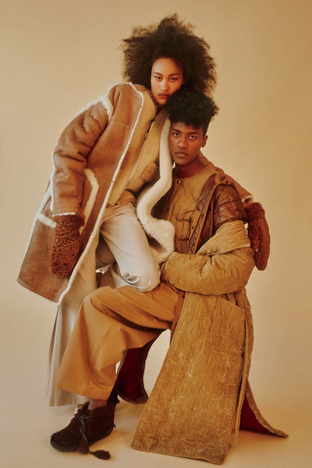 Itaewon native Han Hyun Min is a 16-year-old model and variety star who is paving the way for other multinational Koreans. Han Hyun Min was born to a Korean mother and a Nigerian father. Standing at 6"3, Han Hyun Min was scouted at 14 years old on social media by SF x Models, an all-male agency. Soon after, the young model debuted at Seoul Fashion Week and walked an impressive 16 shows in 5 days. Despite his success, Han Hyun Min was not always comfortable with his appearance. He shared with TIME his struggle with overcoming prejudice and coming into his own. "When I was in kindergarten, some of the mothers in the playground would tell my friends, 'don't play with him. If you play with him, you will become darker too.'" Today, Han Hyun Min is one of Korea's top models. Since his debut, his continues to walk for Seoul Fashion Week, appears on Korean television shows and was named one of TIME's Most Influential Teens of 2017. Han Hyun Min is not the only black model gaining attention in the fashion world. Bae Yujin is another Nigerian-Korean model whose slim and tall physique is to die for. This New Face model is only 15 years old and stands at 5"9. Her unique looks are definitely paying off, as it's only been less than a year since her debut and she has already modeled for brands like Kiok, D-Antidote, KYE and more. Yujin even appeared in Marie Claire, Allure and Dazed. 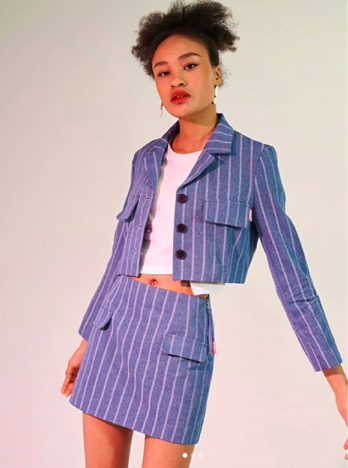 Like Han Hyun Min, Bae Yujin has also had her own experiences with discrimination, but her interview with Allure magazine reveals her growth and self-love. "In middle school, I learned to love my darker complexion and curly hair. I realized that I am beautiful since I'm different," she said. These young models are slowly but surely making Korea's beauty standards more inclusive. Hopefully in the next few years, more biracial models will also leave a positive influence in the industry. 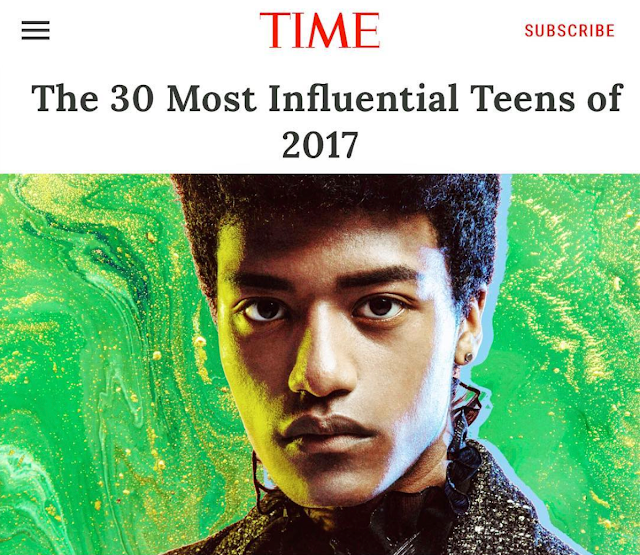 Han Hyun Min tells TIME, "My dream is now a reality, and I want those like me to feel they can achieve the same."